Based in both Bracknell & Reading, Stone Valley Landscapes are an established company with over 25 years of experience in both the Garden Landscape and Garden Maintenance sectors. 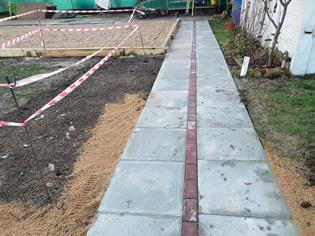 At Stone Valley we cover a large range of Landscape projects from soft to hard landscape. Stone Valley Landscapes welcome trade from both private and commercial customers and will always provide you with a full written estimate after an initial site visit. Please take a look at our short video to see what Stone Valley Landscapes can do for you. 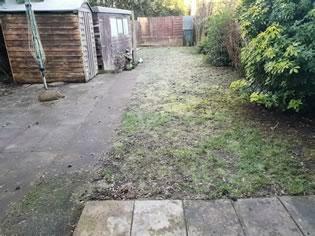 All work is guaranteed and fully insured and all garden landscaping and maintenance work is welcome from small private gardens to large commercial contracts. 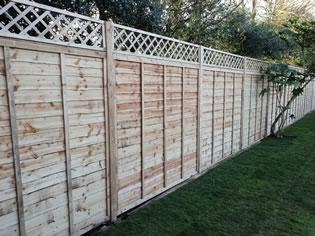 Our customer in Chertsey wanted their garden levelled/raised with a new lawn and new fencing/gate with diamond trellis. 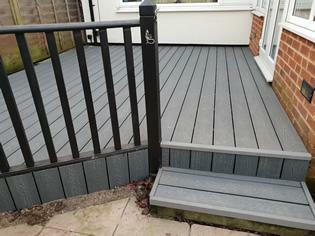 All work carried out within budget and customer very happy. 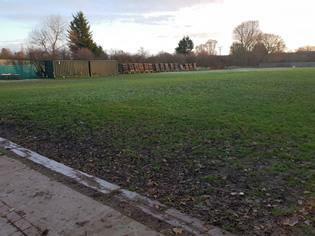 Bowman Archery Club in Binfield wanted to extend their parking area and have a new shooting line pathway laid. All completed and customer very happy. Call now for your free written estimate. 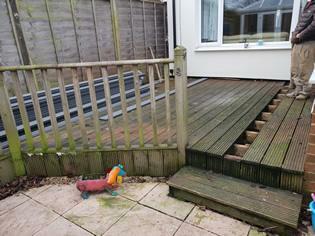 Tired and rotten decking replaced with new Composite Decking. Railings sanded down and re-painted in black to compliment the deck. 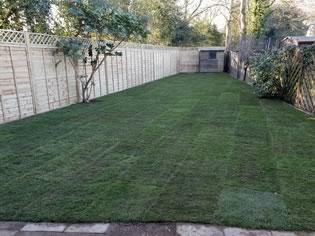 Call now for a site visit to discuss your garden project and free full written estimate. 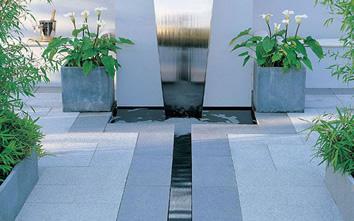 The coarse alternative to Medley Paviors Smooth provides the same colour technology but offers an alternative texture. Contrast the textures into the same area to allow a unique modern design or lay individually in the mixed gauge laying options. Ethically sourced, Arctic Granite is the perfect garden paving for any contemporary design with a subtle textured surface and modern colour options. Each of the three colours; Glacier, Dusk and Midnight work well on there own or in combination whilst the meticulously cut Arctic Granite Revolve can create the focal designer feature to your garden. 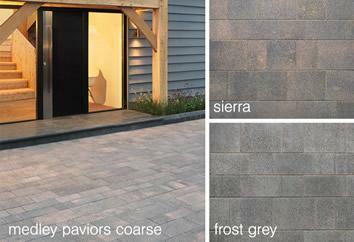 Contact Stone Valley Landscapes today for more information on Granite Paving and see how it can transform your garden. 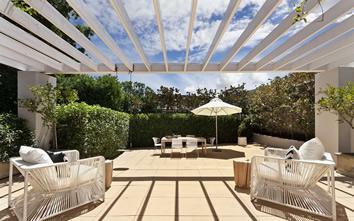 This is the simple yet stunning Azore Louvred Roof system from Renson. It is a manually operated system that requires no electricity or motors to operate. 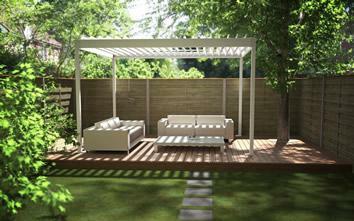 Therefore making this a great entry level pergola for tighter budgets. Have you got a stylish terraced area or does it need an update? Think about when and how you might use a terrace i.e. If you are going to eat outside a lot? Does it need to be near the house for access to the kitchen? or is it just going to be used as a sunny spot to sit in? How large do you want or need it to be and what materials would work well? And don’t forget to think about borders, lighting, edging and the angle of your area! Call us to book an appointment to discuss your ideas. 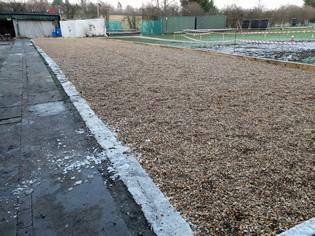 We work across Berkshire, Surrey, Hampshire, Hertfordshire, Buckinghamshire and Middlesex but primarily in Bracknell, Reading, Ascot, Wokingham, Maidenhead, Sunningdale and Virginia Water. Please note: We will always consider projects in areas beyond this 20 mile radius of Bracknell - so even if you are located beyond our area please contact us anyway.